Houston rookie quarterback Deshaun Watson has looked every bit of a franchise cornerstone signal caller for the Texans, currently sitting as the top fantasy quarterback through the first half of the season. 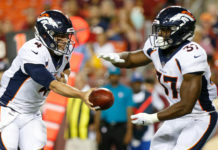 He also emerged from the inhospitable environment of Seattle, and a matchup with the Legion of Boom secondary, last Sunday with the top fantasy quarterback total for the week, showing that his game plays anywhere. Facing a Colts defense that has allowed the fifth-most fantasy points to the quarterback position, Watson is the easy top fantasy choice at quarterback this week. Coincidence or not, New Orleans running back Mark Ingram‘s production has skyrocketed since the Saints dealt Adrian Peterson to Arizona. In the past three weeks, Ingram is second at the running back position in fantasy points, scoring four touchdowns and averaging just shy of 120 yards from scrimmage per game. Facing a Tampa Bay defense that has allowed the fifth-most fantasy points to the running back position in that same three-week span, Ingram is a shoe-in top-5 fantasy running back play this week. 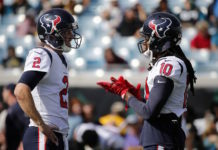 Nobody has benefitted more from the emergence of Houston rookie quarterback Deshaun Watson more than his go-to wideout DeAndre Hopkins. The Deshaun-to-DeAndre connection is the most prolific in fantasy, with both players currently sitting atop their positions in fantasy scoring. 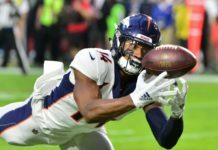 Facing a Colts defense that has allowed the fifth-most fantasy points to the wide receiver position, expect ‘Nuk to have another fantasy explosion on Sunday – he is the top-ranked fantasy wide receiver this week. 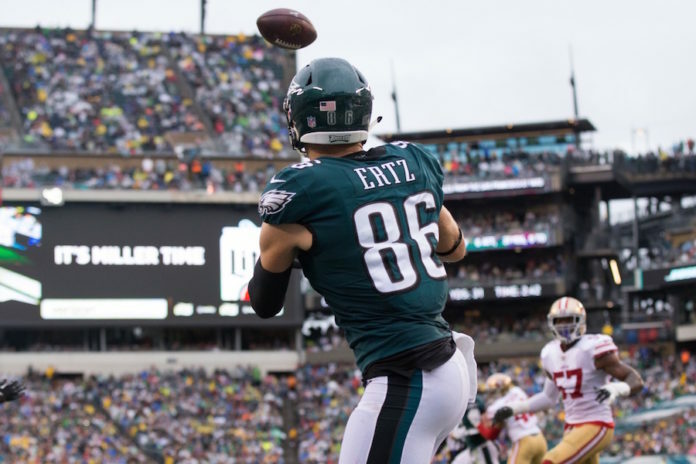 Philly tight end Zach Ertz has been a consistency king, as he’s yet to score less than eight fantasy points in a game this season – a solid five-catch, 81-yard effort at the Chargers in Week 5 was his low-point, thus far. He’s the top tight end play for Week 9 as he’ll face a Denver defense that has allowed the second-most yards per game to the tight end position. Yet another Houston fantasy entity sits No. 1 in the position rankings this week, this time the Texans’ defense. Houston gets a home tilt against an Indy offense that has coughed up the most fantasy points per game to opposing defenses this season.